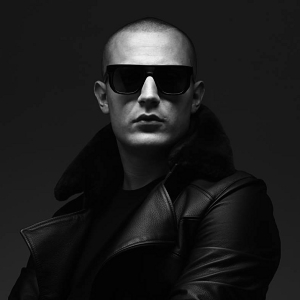 William Sami Etienne Grigahcine aka DJ Snake is French producer and DJ who blew up in 2013 after releasing the smash single Turn Down for What, which ended up selling more than 5 million copies worldwide and charted in multiple countries. His parents are Algerian, but he grew up in Ermont, France. He got into DJing at the age of 14 and added producing to his repertoire a few years later at the age of 19. Prior to releasing Turn Down for What he produced for Lady Gaga and ended up getting nominated for a Grammy in the 2012 edition of the ceremony. He has performed at numerous festivals including the prestigious Coachella Music Festival in 2015. He has released other highly successful songs such as Get Low with Dillon Francis, You Know You Like It with AlunaGeorge, Lean On with Major Lazer and MØ, Middle with Bipolar Sunshine and Let Me Love You with Justin Beiber. In short DJ Snake is a hit-making machine. He has numerous award nominations under his belt, including two Grammy Award nominations. He released his debut studio album Encore in 2016 to great success as it was streamed over 16.9 million times that week an charted in various countries in Europe, the US, Asia, and Australia. DJ Snake has used FL Studio, Propellerhead Reason and Ableton Live for his production. The Barefoot MiniMain12 studio monitors are part of his production and mixing arsenal. He also uses a Keith McMillen Instruments QuNeo and Rane SL3 for carrying out some of his production tasks. His DJ setup includes the Denon DN-S8000, Pioneer SDJ-2000, Technics SL-1210MK2, Pioneer DJM-900 Nexus Mixer and a copy of Serato DJ software. He sometimes uses a pair of Beats by DreMixr on-ear headphones for various purposes. What kind of headphones does DJ Snake use? What kind of studio monitors does DJ Snake use? What kind of laptop and computer does DJ Snake use? What kind of DJ setup does DJ Snake use? What kind of keyboards & synthesizers does DJ Snake use? What kind of music production software does DJ Snake use?